Among the most common and usually most painful foot problems, bunions and hammertoes take the lead. These foot issues themselves are uncomfortable, but when left untreated they can also develop blisters, corns and ulcerations. This causes you and your feet unnecessary pain and strain, which could easily be avoided with treatment from us at Beaver Valley Foot Clinic. If your feet are sore and stiff at the joint, swollen, red and callused, you may be suffering from a bunion. A bunion is a large bone on the side of the big toe, which is angled outward. This causes the big toe to turn toward the other toes, providing great discomfort. Obviously painful and uncomfortable, bunions can have an affect on your walking and mobility. 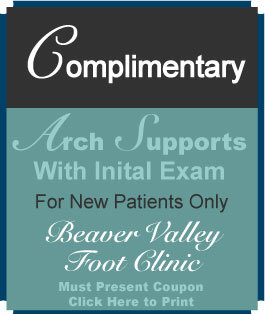 Dr. Christina Teimouri, DPM of the Beaver Valley Foot Clinic, is able to examine, diagnose and X-ray your foot. Mild bunions can often be treated simply by wearing wider shoes with padding. For more sever bunion issues, we can help you schedule a simple, one-hour outpatient procedure that will have you back in your shoes, walking comfortably, within 2-6 weeks. Of course you will be able to walk immediately after the procedure, but you will need to wear a specialized shoe for proper healing. Hammertoes are another common foot problem that can affect your walking if left untreated. Usually aggravated by ill-fitting footwear, such as high-heels or under-sized shoes, a hammertoe occurs when the toe buckles or bends. This makes the toe rub against shoes, and once arthritis sets in, causes painful corns and calluses to form. Eventually, if left untreated for too long, your entire foot can begin to ache. Hammertoes are curable, using a treatment method that is best fit for your situation. There are many different treatment options available, from using corn pads and wearing wider shoes, to undergoing a quick, minimally invasive office procedure to straighten the toe. At the Beaver Valley Foot Clinic, we also help you care for chronic, non-healing wounds. Venous ulcers and foot neuropathy, for instance, are the most common types of non-healing wounds we encounter. From using ultrasound strategies to target problem sources, to applying topical dressings, the Beaver Valley Foot Clinic knows how to professionally treat chronic wounds with care. 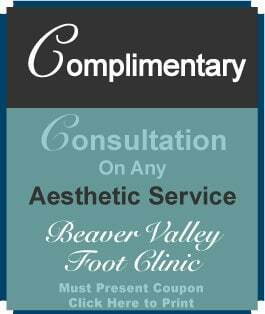 If you think you are suffering from bunions, hammertoes, or any other foot complication, call us at the Beaver Valley Foot Clinic right away. Walking around in discomfort will only make your foot pain, as well as the problem itself, worsen. 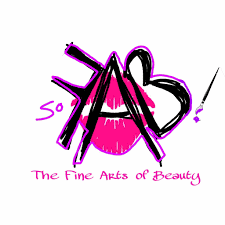 Do not hesitate to treat your feet! Call (878) 313-3338, log on to BVFootClinic.com or visit us in person for more information on how we can help you get pain free and walking comfortably.